For professional reasons, as you can imagine, I'm always looking for better ways to make screenshots, particularly from webpages. 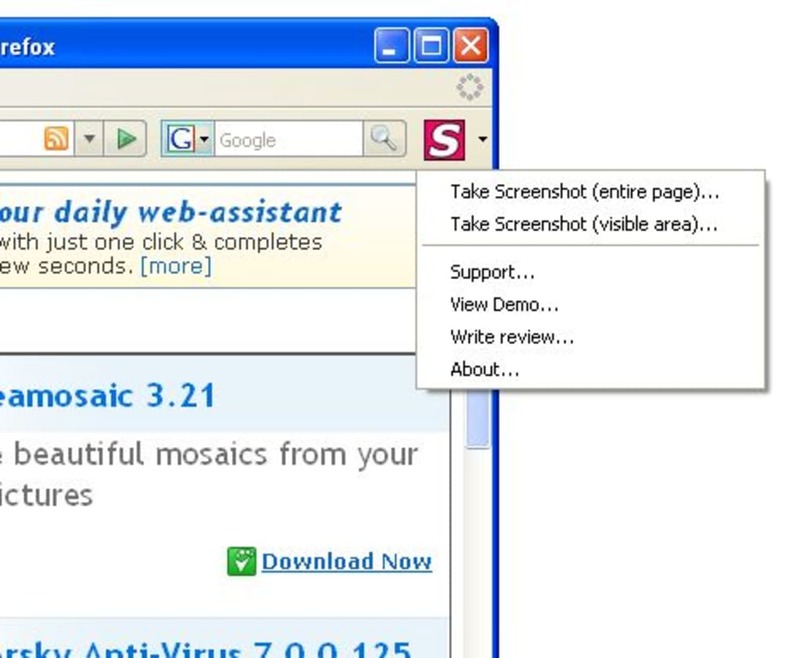 The last one I've found is FireShot, a great Firefox extension which, despite not being the first one of this kind, it's probable one of the best web capturing solutions I've seen so far. 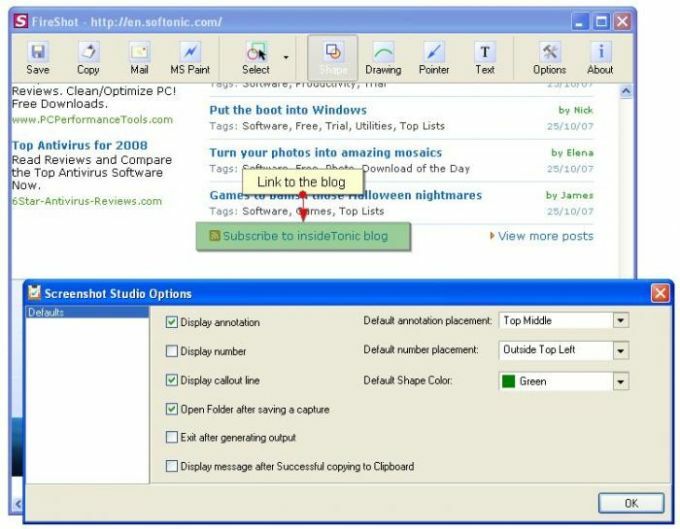 FireShot inserts a small button next to the address bar, from which you can take a screenshot from the whole website or just the visible area. The captured image is immediately displayed on a separate window in FireShot where you can comfortably do some basic editing tasks. These tasks include, for example, inserting text boxes, marking certain elements with the drawing tool, inserting shapes or arrows and selecting a certain area of the image and add effects to it, among others. You can also copy the image to the Clipboard or send it as by email directly from FireShot. The only big drawback I found was that FireShot doesn't have any Undo option. Each tool has its own configuration settings, which appear on a floating window menu. You can use this menu to adjust any changes done to the image, although sometimes the window ends up being annoying because it stays a bit too much on your way. FireShot is the easiest and fastest way to take screenshots from webpages, edit them any way you like and share them by email. Unlike other extensions, this plugin provides a set of editing and annotation tools, which let users quickly modify captures and insert text and graphical annotations. Such functionality will be especially useful for web designers, testers and content reviewers. 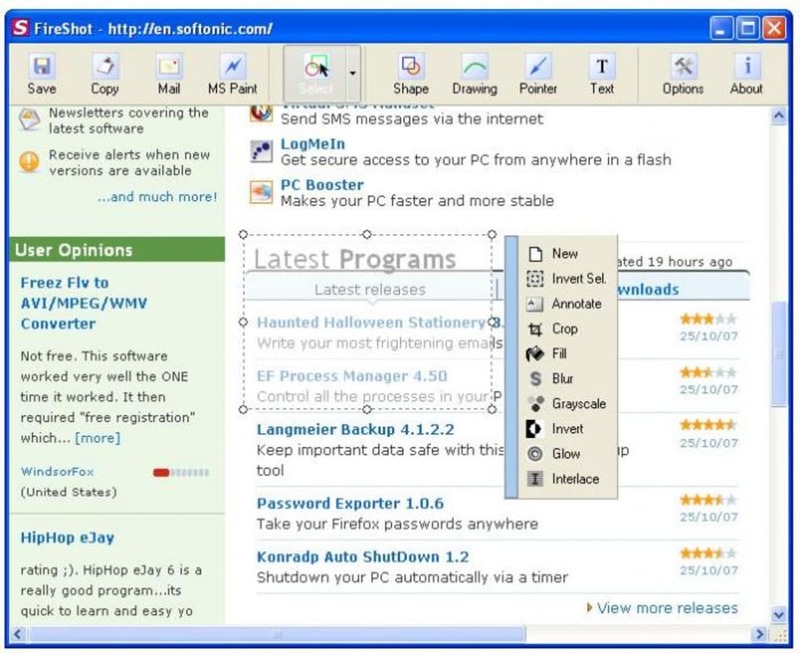 FireShot extension integrates with Firefox and provides capturing both entire web page and only currently visible area. 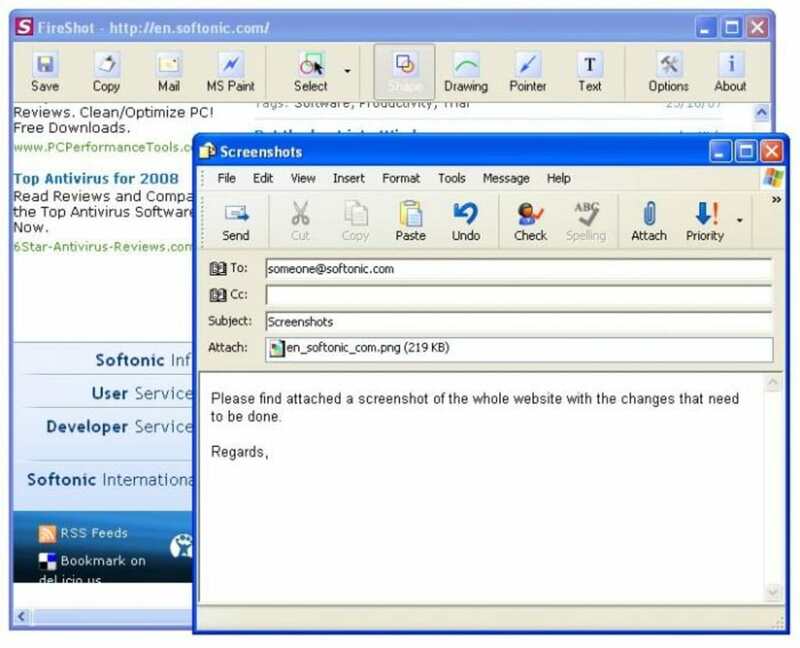 Screenshots can be saved to disk (PNG, JPEG, BMP), copied to clipboard, e-mailed and sent to external editor for further processing. What do you think about FireShot? Do you recommend it? Why?